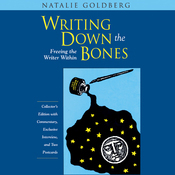 Her first book, Writing Down the Bones: Freeing the Writer Within, has sold more than a million copies in ten languages. 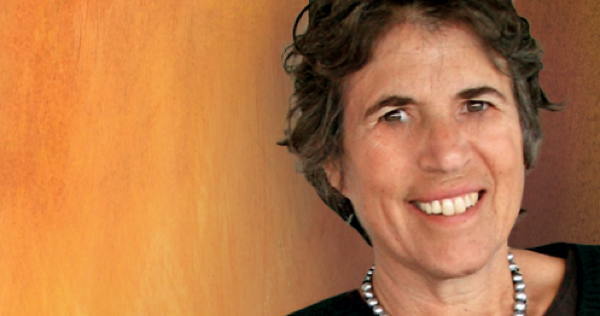 In an interview, Natalie Goldberg talked about writing to access your energy and creative intuition. A writing practice is simply picking up a pen — a fast-writing pen, preferably, since the mind is faster than the hand — and doing timed writing exercises. The idea is to keep your hand moving for, say, ten minutes, and don’t cross anything out, because that makes space for your inner editor to come in. I consider writing an athletic activity: the more you practice, the better you get at it. 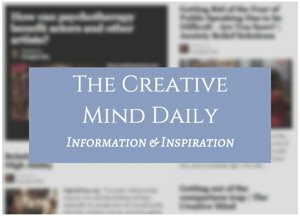 The reason you keep your hand moving is because there’s often a conflict between the editor and the creator. The editor is always on our shoulder saying, “Oh, you shouldn’t write that. It’s no good.” But when you have to keep the hand moving, it’s an opportunity for the creator to have a say. All the other rules of writing practice support that primary rule of keeping your hand moving. The goal is to allow the written word to connect with your original mind, to write down the first thought you flash on, before the second and third thoughts come in. Because that’s where the energy is. That’s where the alive, fresh vision is, before society, which we’ve internalized, takes over and teaches us to be polite and censor ourselves. Another way of putting it is that you need to trust what intuitively comes through you, rather than what you think you should be writing. What comes through you arises from a much larger place than that of the editor, the critic, or society. From interview article Keep The Hand Moving, Genie Zeiger The Sun.